FOTEK Dinner and Dance, originally uploaded by Mic2006. Tucked away in the back of Michaelangelo’s plush event room is the dinner table of several Ontario cavers. 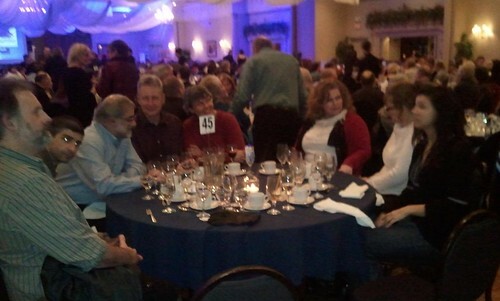 The event was FOTEK’s annual dinner and dance fundraiser 2012. There were at least 400 people present. After dinner conversation was punctuated by various speechs from politicians and the raffling of a print of Josh Tiessen’s, ‘Guardian of the Karst’ painting. Josh is a member of FOTEK – Friends of the Eramosa Karst’. Our table won 5 of the 20 door prizes. It felt like the odds were in our favor, so it was especially hard to accept our loss of that wonderful painting to a non-caving guest. Dinner was either beef or chicken, roasted potatoes pasta to start and steamed vegetables – money well spent for both the cause and the company. Moving around the table left to right, myself, Jeff Collens (my regular caving partner), Steve Worthington and Marcus Buck (co-authors of the report – Earth Sciences Inventory and evaluation of the Eramosa Karst Area of Natural Scientific Interest), Marcus’s wife Norma, two ladies who I had not met, and Nina. People who were present but not in the picture were Greg Warchol – schmoozing with some local dignitaries and my wife Maggie who took the picture. 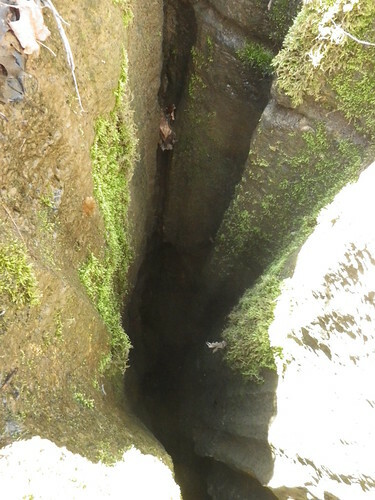 It was Greg Warchol who had first investigated the Eramosa karst area and exposed the significance and possible loss of valuable Niagara escarpment features to the caving community – in particular Marcus Buck, and it was Marcus (who had been the key-note speaker at last year’s event) in co-operation with Steve Worthington who had undertaken all the scientific study to legitimize the Eramosa Karst’s value as an area of natural scientific interest – thus preserved from the impending developments. 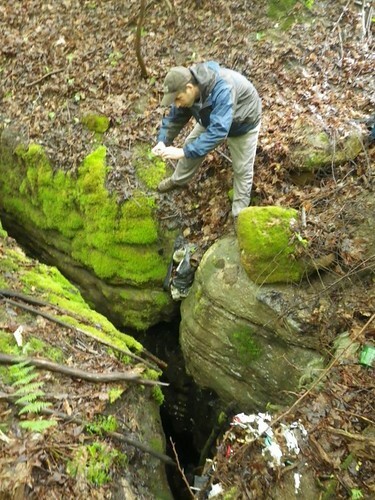 Derek Ford, a world renown cave scientist from McMaster University had supported the project in saying that the Eramosa Karst was one of the gems of the Niagara Escarpment. 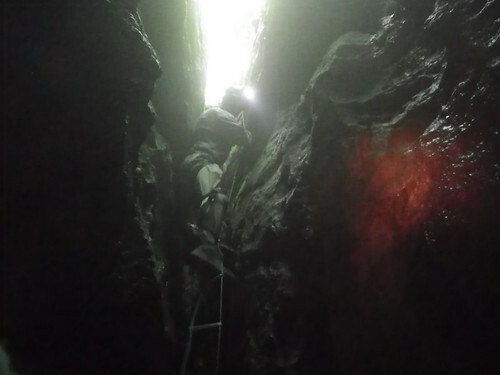 Of greatest interest to cavers are the features of Nexus and Potruff Cave. Unbeknown to everyone in the the room (with the exception of our table) is the incredible occurrence of another similar caving feature within about a 15 minute drive of the Michaelangelo’s Conference room. 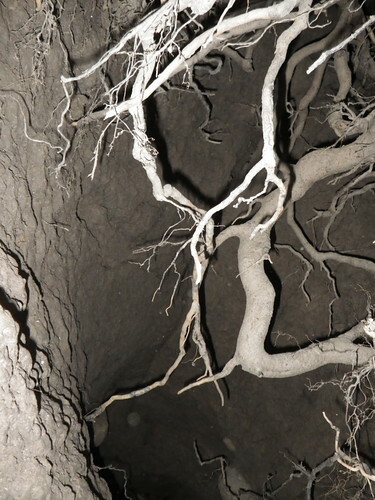 Jeff and I had discovered the cave last spring and since then we have made several forays into the tunnels. we call the feature Wasteland Waterway and in response to our request to Marcus to accompany us in the near future on a mapping expedition Norma said, “he’ll have to bring his walker.” (there’s a story to be told on that). 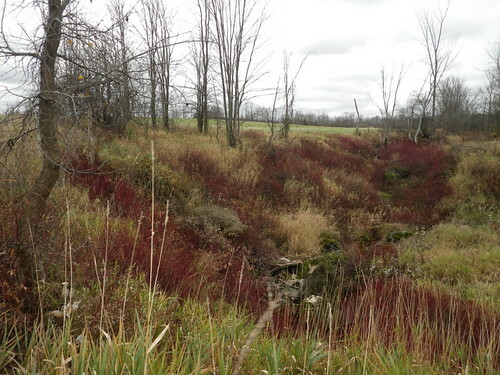 Anyway, the point is, there’s a lot more in Ontario than people might imagine – especially around the Hamilton area, my book Caving in Ontario; Exploring Buried Karst speaks of the province’s undiscovered and yet exciting caving potential.